the weather has started to cool off and now the plants are producing again. The bush beans, planted months ago, grew plant wise – which has turned out to be great – and are now yielding lots of green beans. This is this morning’s yield. The heirloom romas, an indeterminate tomato, are giving me the biggest best they’ve ever done. I’m a seed saver, so these are both acclimatized plants, BUT this has been a record breaking year for the heat. We’re only just starting to cool off at night and stay below 100, sometimes even below 95. Fortunately, we’ve got probably another 4-6 weeks at least of good growing weather. Maybe more! Saw a recent study that was done to test the effects of Global Warming and they came to the conclusion that over 95, plants don’t do so well. DUH! They could have just asked any of us SW gardeners. We’d already figured that one out!. 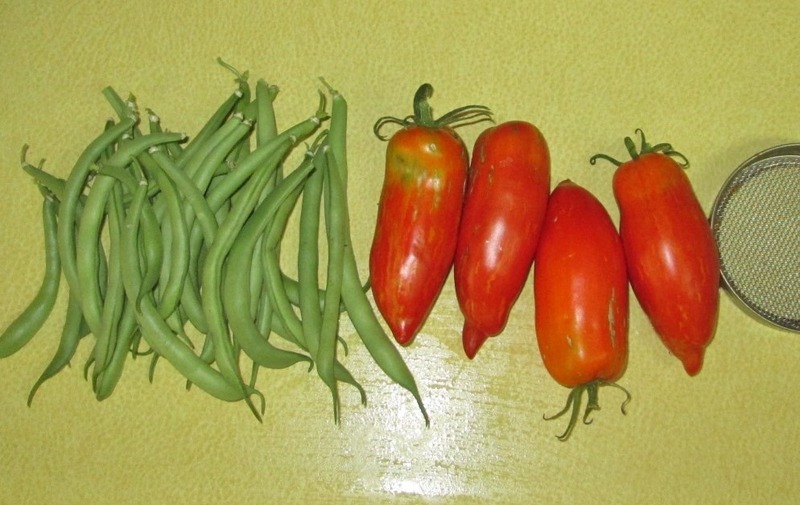 This entry was posted in container gardening, fruit, gardening, homesteading, legumes, organic, prepping, self-reliance, tomatoes, Uncategorized. Bookmark the permalink.